Founded in 1870, the Simmons Company is among the most prominent and influential bedding companies in American history. In the early 1900’s, the company gained notoriety for making an innerspring mattress that middle class Americans could afford. Prior to this time, such a bed was considered a luxury item. Through decades of research and design innovations, Simmons continued to grow and expand their product line. From value priced, entry level beds to premium luxury mattresses, there is something for everyone. 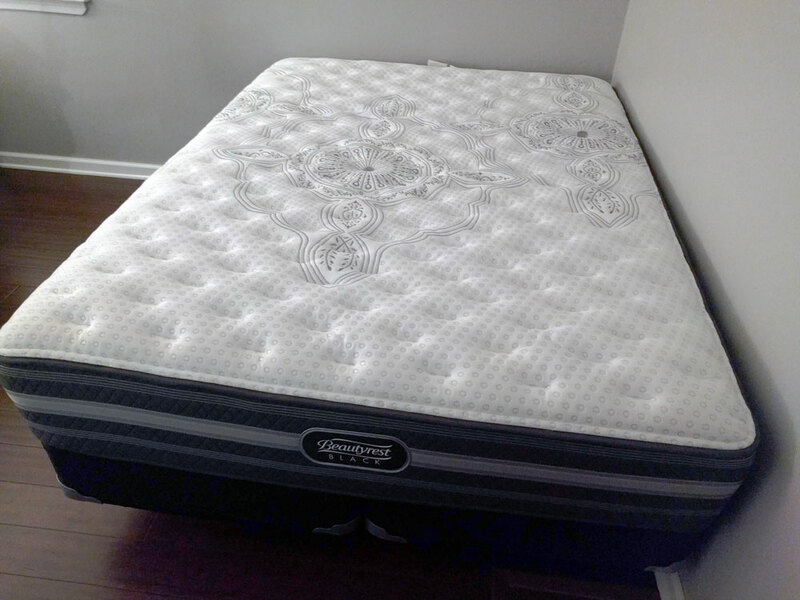 Simmons recently provided BestSlumber with their Beautyrest Black Calista Extra Firm mattress to evaluate. Although we were already quite familiar with the BRB lineup, it was a great opportunity to focus on every aspect of this quality mattress and bring you our findings. Where is the Calista Mattress made? Simmons mattresses are proudly designed and produced here in the USA. 16 strategically built factories keep costs down and shipping costs low. What type of mattress is the Calista? The Beautyrest Calista is an individually pocketed coil spring and memory foam mattress. Simmons utilizes over 100 years of bedding industry experience. Simmons Beautyrest Black utilizes a triple wrapped braided coil structure. This unique designs sets an industry standard for support and responsiveness. Varying densities and thicknesses of cool sleeping memory foam are used to create distinctively different comfort feels. This layer of vertically oriented fibers is designed to dissipate body heat away from the sleeping surface. High quality comfort foams in different levels of plushness used in various constructions to create comfort preferences. Available in firm, luxury firm and plush comfort levels. which are designed to move heat away from the body. 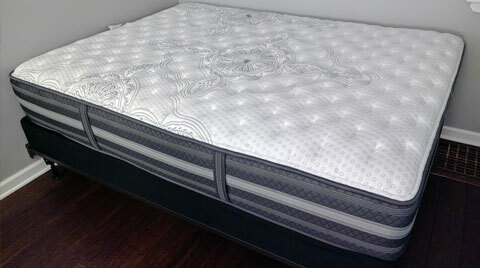 A triple wrapped braided coil design offers added structural integrity to this mattress. This feature is unique to the Beautyrest Black lineup. It works to provide individualized back support, ease of movement, and pressure point relief throughout the night. durable foundation for the no-flip mattress design. The Beautyrest Black is easily one of the most impressive support systems we’ve seen. The Calista extra firm will not have the body hug or deep contour of other models within the Beautyrest lineup. It’s quite firm and will not be for everyone. However, for a firm bed, the Calista extra firm offers a surprising amount of pressure relief. For those who appreciate a “firm” mattress, the feel here should be just right. The Calista Plush offers considerably more body contouring. Both give really nice pressure relief within their respective firmness levels. Like most firmer coil spring mattresses, the Calista Extra firm allows for great ease of movement. The Plush ranks slightly lower in his category due to the added memory foam. The combination of breathable coils and hi-tech cooling foams create a comfortable sleep environment. The Calista is CertiPUR certified to not emit any dangerous toxins into the air. We noticed little to no smells upon delivery. Structurally, there are few coil mattresses that compare to the Beautyrest Black. A strong suit for the Calista. We noticed no difference in support when laying close to the edge. Even in a seated position on the side of the bed, this mattress feels strong and substantial. When purchased direct from Simmons: 120 day home trial. A $99 fee is charged for pickup and return. When purchased at store: Retailer’s policies vary but are usually on par with the factory. The Calista is a traditional coil spring mattress and cannot be compressed into a box. When purchasing direct from Simmons: Free white glove delivery, setup and removal of your old bedding is provided. When purchased at store: Retailer’s policies vary but are usually on par with the factory. Additional fees may be charged for removal of old bedding. Ease of mobility helps the Calista Extra Firm achieve a high score in this category. The addition of more memory foam to the Plush make movement a slightly more difficult but still satisfactory. Although priced higher priced than some other options, the Calista delivers a value that far exceeds its cost. 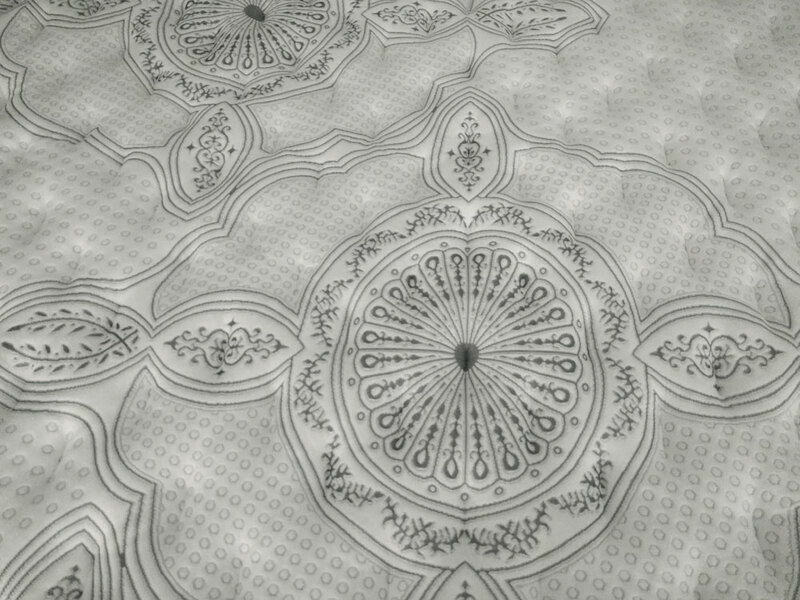 This is an exceptional mattress. The Calista is available in an extra firm and a plush. These two comfort options are distinctively different. For those seeking a middle ground between these options, we recommend the Beautyrest Black Desiree luxury firm. It has the same supportive coil system with a firmness level that splits the difference. The Push adds 1.5” of additional comfort foams and is considerably softer than the extra firm. It has the same solid support system but is more appropriate for those seeking additional body hug and contouring. The difference is comfort preference; not support. Larger body types who sleep on their backs will appreciate the great support and alignment the Calista extra firm provides. Those with less body mass may not be absorbed into the bed enough to sleep comfortably. This may cause pressure on the shoulders hips and elbows. Smaller, more petite sleepers may fare better on Beautyrest Black’s Desiree luxury firm. (link to Desiree) Both are equally supportive but the Desiree offers a bit more body contouring. On your side, all your weight shits to your shoulders and hips. For most side sleepers, the extra firm will be too hard. For the majority of side sleepers, we recommend the Calista plush. Of course, no two people interpret firmness the same. Age, physical condition or weight play a factor. A larger person may prefer the Desiree luxury plush. Stomach sleepers require a mattress that is firm enough to not allow your lower back to dip. This can cause lumbar pain. Of course, sleeping on your stomach in and of itself can cause comfort issues. Your neck is always put in an awkward, unnatural position. This can cause you to wake with pain not necessarily associated with your mattress choice. Ultimately, most are better off finding an alternative way to sleep. However, we do understand old sleep habits die hard. If you must sleep on your stomach, the Calista Extra firm or Desiree luxury firm are the way to go. Excellent support - Premium coil system and dense foams create great body aligning support. Sleeps cool: Breathable Gel Touch and Micro Diamond memory foam make for cooler sleep environment. Superior edge support: Great edge support creates a consistent comfort feel across the entire mattress. It also eliminates feeling as though you are rolling off the bed. Consumer confidence: Simmons is one of the most respected names in the bedding industry. Limited firmness range: With only two firmness options, the Calista will not satisfy everyone's comfort need. Fortunately, The Beautyrest Black lineup offers great diversity. From very firm to super soft options. Price: Dollar for dollar, the Calista is an exceptional value. Yet, at a starting price of $1,799 for a queen, this mattress may be too expensive for some shoppers. You’ll like this bed if you are looking for superior support and alignment. The braided, triple wrapped coil system is among the best in the industry. Couples in search of less motion disturbance will benefit from the its individually pocketed coils. Combined with dense quality memory foam, motion transfer is kept to a minimum. Larger individuals will like the solid support and durability of the Calista. The structural integrity of this mattress is far superior to most beds on the market today. 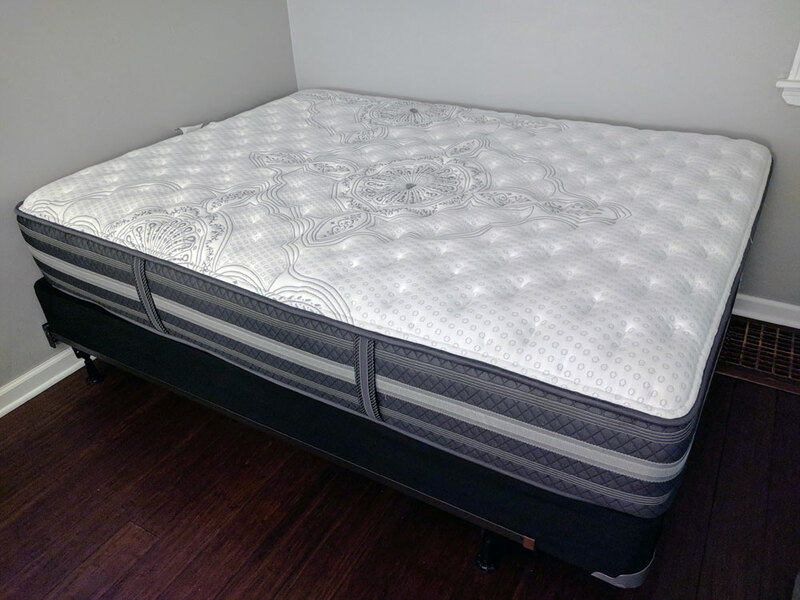 If you want to sleep cool, The cooling foams and breathable coils system will keep you comfortable. Those looking for a trusted company will feel comfortable purchasing from Simmons. If your budget is limited, the Calista may not be for you. Although we can make an argument for the dollar value of this mattress, it may still be out of reach for some consumers. The Calista is a traditional individually pocketed coil mattress; not a bed in the box offering. It’s far to substantial to be compacted and rolled into a box. The Calista requires a standard delivery. Note: As with any quality mattress, Its essential a Queen or King have a frame with a sturdy center support and additional legs on the ground. Over time, inferior frames can affect the support and longevity of your mattress.